Social media is great, isn’t it? Our little online bubbles allow us to engage in global debates, and expand our horizons like never before, until we get bored or offended enough to block anyone who doesn’t agree with our personal viewpoint. Hurrah! It’s a phenomenon which has been feeding our egocentric beliefs since Tom created MySpace. We’ve long suspected those who block other people over the slightest disagreement are egomaniacs, but now, psychoanalyst and cognitive hypnotherapist Steve McKeown has confirmed this to be the case. What your friends or others comment about you is their choice. How you choose to react is your choice. This is where the problems begin! A challenge to our egos! This then creates resentment and makes you feel they don’t deserve to be part of your world or virtual life. The options are simple, either ignore them or block them! Blocking seems the easiest option to avoid feeling aggravated, frustrated and anxious. Blocking simply becomes normalised, easy. The issue may disappear in virtual world but not in real life. The issue doesn’t disappear. You are compounding and reinforcing not dealing with your problem. You are only running away… Until you bump into them either at the local shop, gym, or park. In fact, in many contexts, it’s a petty and rather ridiculous practice which simply puts a band aid on difficult social interactions online. So why do we block people on social media and brush these issues under the carpet, rather than facing up to perfectly natural human differences? McKeown said social media interactions, curated as they are, play on the very real and human ‘insecurities, low self-esteem and a need to be accepted’. He added those who are quick to block others are more likely to be ‘self consumed or absorbed’, citing ‘egomania’ to ‘indirectly describe them along with a deep seated low self esteem’. McKeown explained how the psychology of difficult social interactions can’t be cured by simply clicking the ever-so tempting block button when your friend shares the 365,839th photograph of their ‘cute’ kid, or your uncle posts a status about some questionable political leanings. We’ve all felt that feeling, all those feelings and emotions we thought we’d dealt with come flooding back. You only dealt with the effect and disregarded the cause. If you block someone, that deep felt reaction doesn’t simply disappear. It will resurface in some way in the future and most likely at a time when you least expect it through the words of someone else. Admittedly, the blocking tool can be used for good, to combat ever-pervasive online abuse, trolling and even stalking, particularly on open discussion platforms such as Twitter. Facebook has ‘policies to stop behaviour other people may find annoying or abusive’. 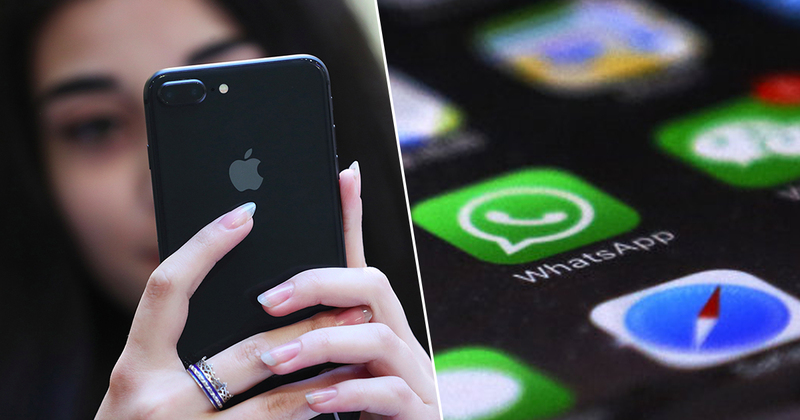 WhatsApp also offer user the ability to block another contact. Some social media platforms, such as Instagram, have tried to combat the negative effects with new interfaces and measures to promote good mental health and offer support to users who seem to need it. Other young people argue they find solace in online social media forums, particularly in interest-based communities, but the internet is an undeniably double-edged sword. Sometimes it seems for every support group, there are twenty trolls willing to bully and berate among the ranks of keyboard warriors. A new study has uncovered a ‘clear pattern linking screen activities with higher levels of depressive symptoms’ and suicide, adding ‘screen time leads to unhappiness rather than unhappiness leading to screen time’. Dr Jean Twenge, author of iGen: Why Today’s Super-Connected Kids Are Growing Up Less Rebellious, More Tolerant, Less Happy, found teens who spent five or more hours a day online were 71 per cent more likely than those who spent less than an hour a day, to suffer suicide risk. Yet, we are a generation addicted to our apps. We tend to crave support, attention and acceptance. Our main aim is to feel accepted as to not feel judged but at the same time we judge and condemn all the things we feel we are not. This can be a recipe for disaster because we’re bombarded and faced with people who we think are actually judging or disrespecting us. This is normally accentuated because they haven’t hit the like or share button. The anxiety consumes us and becomes a challenge we’re all subjected to and let’s be honest, most of us are obsessed with social media because it keeps us networked and ultimately allows us to create a portrayal of who we are. As humans it’s in our nature to want to be liked so we tend to go out of way to publish statuses that make our lives seem better than it actually is. This is a need to be accepted. After all, social media is a melting pot of all people from all places with all politics, but McKeown adds, ‘if we are completely honest social media is less of a support to us but more a challenge’. Not everyone gives you the attention you desire – they don’t like what you post, they may be sarcastic or worse blatantly horrid – but remember this is only reactive to how they feel emotionally which can make them feel inferior. Remember it’s a choice to allow someone to have an effect on you emotionally, they’re your thoughts and you have a responsibility to un-invest your emotional response. Manage them and move on. While the mute tools on social media can protect vulnerable users, they can also perpetuate our new way of interacting with our fellow humans superficially and in 280 characters. A necessary but ultimately divisive consequence of lives lived online? Both the problem and the solution is in the palm of our hands.